The heat is on | Old Dominion Innovations, Inc. Peak cooling season has arrived here in RVA and for all of us who complained about the cold, it feels like the humidity and heat are smirking at us for daring to wish it was summer. But there’s hope…. soon the the discomfort of the hot sticky weather will be forgotten…. ……… when it pales in comparison to the pain of opening our power bills. This is the time of year when the electric meter runs nonstop, the sun beats down unrelentingly, and we get lots of calls and emails from folks curious about solar. It’s becoming clear that solar is the energy of the future. Just as we once rented our telephones from Ma Bell each month, in the not-too-distant future, most buildings will generate their own power. 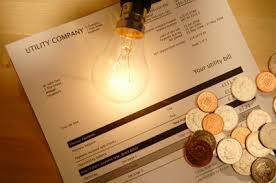 If you’ve wondered how you can cut your power costs with solar, ODI wants to help. The 30% federal tax credit expires next year, so don’t wait! We now offer free quotes by email- so you don’t have to take time off work to meet a salesperson. All you need to do is email us your site address and power usage- your information remains completely confidential, and we can help you with obtaining financing. You don’t have to keep handing your hard earned money to a monopoly- you can own your own power source and reap the benefits of your investment for decades to come. Is this why we can’t have more affordable solar?